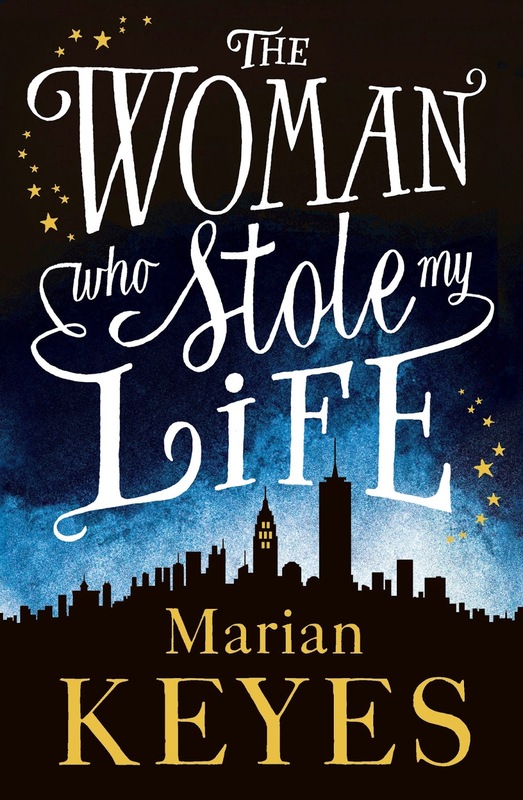 When I picked up The Woman Who Stole My Life by Marian Keyes, I was wildly excited to read it but really had no intention of reviewing it here. Shamefully, I’d classed it away as “just chick lit”, something to be read and enjoyed yet not really talked about. But I’d forgotten the most important thing about Keyes: she pioneered chick lit. Back before it turned into a risible genre peopled solely by women with shoe fetishes, unhealthy relationships, and glamourous careers that apparently require no effort, Keyes was writing about women who, yes, liked shoes and sparkly things, but who had messy, legitimately troubling lives, and chaotic but always deeply-involved families (siblings, children, parents – all generations welcome). She reveals the tarnish behind glamourous exteriors and the dark themes of her books – alcoholism, depression, abuse – are chilling but always handled with honestly and a winning sort of gallows humour. All this makes her a uniquely appealing writer and someone certainly worth discussing. Stella Sweeney, currently age forty one and a half, has an ex-husband who might be losing his mind, a nineteen year old daughter worryingly engaged to a thirty-six year old lawyer and living in another country, an eighteen year old son obsessed with yoga and unpalatable culinary experiments that seemed designed primarily to torture his mother, and one failed fluke of an inspirational book behind her. Four years before, she’d been just an ordinary person, working as a beautician, married to her husband of almost twenty years, and mother to two vaguely pleasant teenagers. Life had been satisfactory. But four years and a major health crisis, love affair, and failed career later, things are far from okay. Keyes teases us with Stella’s story, giving the reader tantalizing glimpses of what lies ahead while jumping between the “present” and the defining period of Stella’s Life: when she was paralyzed by an extremely rare disease of the nervous system. Hospitalized for almost an entire year, her life was turned upside down and the rest of the book follows the fallout – good and bad – of that dramatic shift. The result is wonderful. Keyes’ books are always readable but I struggled to put this one down at all. It’s appealingly hefty (like most of Keyes’ books) but none of it is filler – just compelling storytelling. So compelling that I didn’t even consider whether a 500-page book was practical reading for my commute on Monday. It wasn’t, in case you were wondering, but it was worth every awkward contortion when I wanted to turn the page and the sore shoulder I’ll no doubt have after carrying it around in my purse. It was warm and uplifting and terribly funny (I snorted aloud – gracefully, obviously – more than once). It was everything you hope and dream that chick lit should be but which only a very few authors can actually deliver. Keyes, thankfully, is still a master of the genre she helped define. I like how she’s using older heroines than the usual early-30s. Have Last Chance Salon in the TBR and in seems to be a favorite among fans. Embarrassingly, I remember thinking how old her characters were when I first discovered Keyes’ books in my late teens. Now, I definitely appreciate that she has heroines in their 20s, 30s, and 40s. Variety is good (and all too rare)! Thanks for the review! My library still doesn’t have this one, but I’m excited for it. I’m not a chick lit reader either, but I love this particular author, for many of the reasons you describe. I was first in line for this at my library, which made me particularly happy. I only hope everyone in line after me enjoys it as much as I did. I don’t remember hearing of this author before, but I am definitely putting her on my to-read list. She’s great fun, Lisa. I’ll be very interested to see what you make of her. I am so glad that you decided to review her work. I happen to agree with you completely about her place in the genre and how her work is always a little bit extra. Her books can be quite dark, dealing with serious subject matter but I still always find them totally uplifting. I haven’t read this one yet but I CAN’T WAIT to. You will love it! I hope you’re able to get your hands on it soon. I remember reading and loving Marian Keyes’ early novels when I was a London commuter, but I’ve drifted away from her books since I’ve been back in Cornwall. I’m definitely tempted by this one …. They are such good commute books (except for their size). The time flies by while reading – the only danger is missing my stop! “glamourous careers that apparently require no effort” – so true. I had the same impression of Keyes. I’ll have to remember this one. To be fair, some of her characters have what seem like vaguely glamourours careers – but you’re never in any doubt that they require work, and I appreciate that (even if I would prefer books about investment bankers). Bought it this morning – an impulse buy (inspired by your recommendation) while in the bookstore picking up something my daughter had ordered – started it on the drive home (someone else was driving, of course), then sat down and read all evening and finished it just a little while ago. Definitely “chick lit” – but of a very decent sort. I enjoyed it, including the up-beat ending. The teenagers are priceless – Ioved all of the family bickering. A fast-moving read – just as good for snowy January as for summer vacation perusal. A step out of my usual reading pattern – always pleasant to experience something different. Thanks for the review, Claire. So glad you had fun with this, Barb!